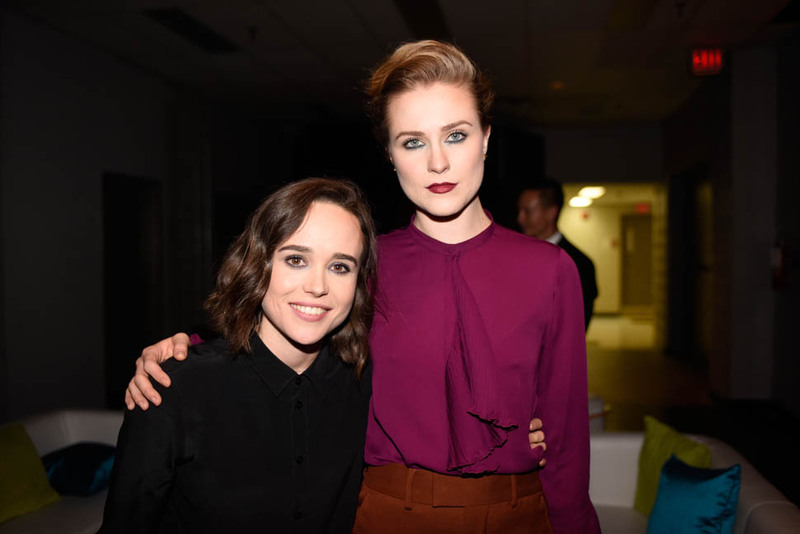 Evan Rachel Wood and Ellen Page play sisters in Into the Forest and spent the weekend in Toronto. Ellen, Evan and I are the same age. I've watched their careers closely and admire them both for speaking their mind, and standing up for women in Hollywood. Since Ellen has publicly revealed her sexuality and become an LGBTQ activist, you can see the difference it has had on her mental health. You can also see the difference it has in her posture and style. Ellen now stands up straight on red carpets, is less shy and quiet in interviews, and shows off more of her sly humour. 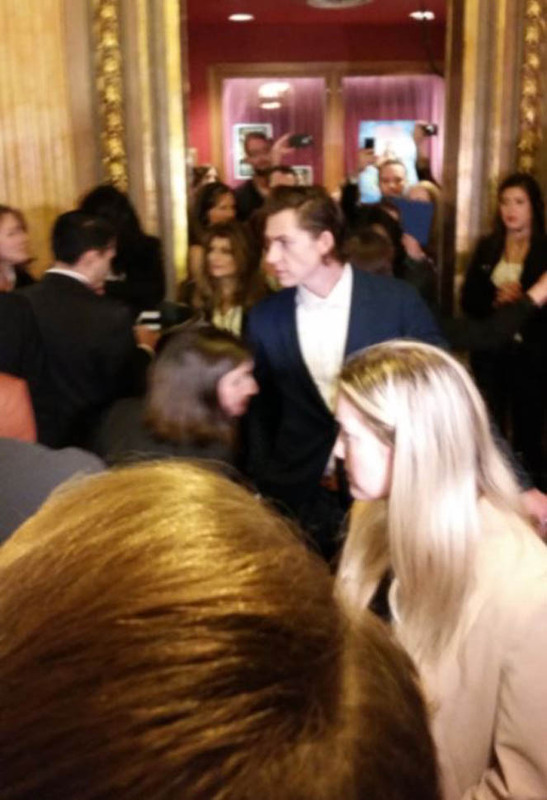 Except she brought her boyfriend Andy Tongren to the red carpet for Into the Forest... and kept kissing him in between interviews. Not making out, but light pecks to let him know she hadn't forgotten about him. 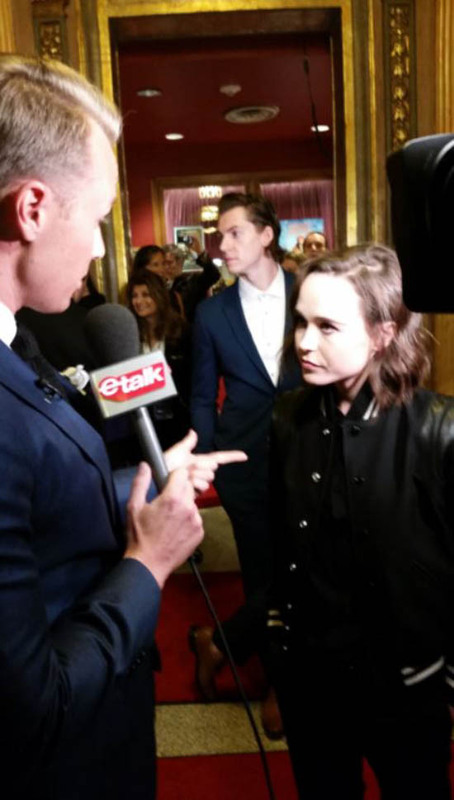 He was in the background of our interview (photos attached below), and all of Evan's interviews on the carpet, a far cry from the private star's not-so-secret one-month relationship with Kate Moennig. She dated Marilyn Manson on and off and is now divorced from Jamie Bell. 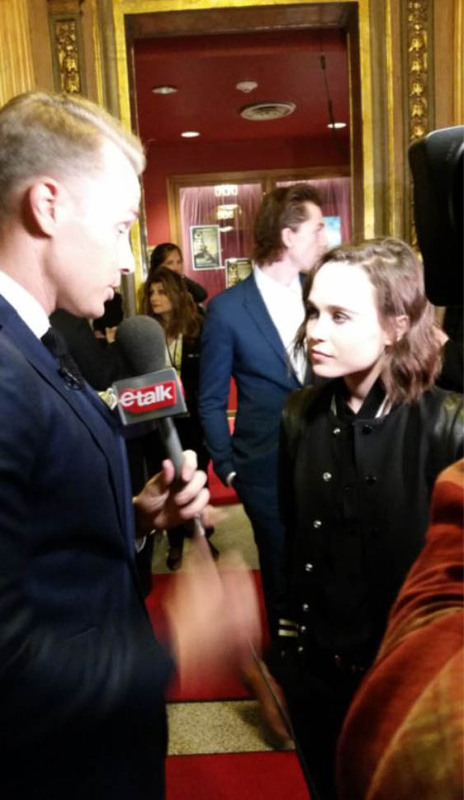 The last time I saw her at TIFF, it was in 2011. It was the red carpet after-party for The Ides of March, which she starred in with Ryan Gosling and George Clooney. She was clearly in a different headspace then, and was carrying one of her own teeth with her on the carpet as an accessory. Sure. This time? Her behaviour was the opposite. She was composed, articulate and just wanted to shower her friend Ellen with love. On the red carpet, she told us how refreshing it is to be friends with somebody like Ellen, and how they're not in competition with each other. This is directly referring to Evan's earlier comments about how she was miserable and "felt like a piece of meat" during this Vanity Fair photoshoot. Remember? According to Evan, Ellen isn't catty. She's the best. She's all love. On the Freeheld carpet Ellen's posse was about the all-caps L-O-V-E they have for each other. Perhaps it's Ellen who encouraged Evan that you don't need to keep love a secret. 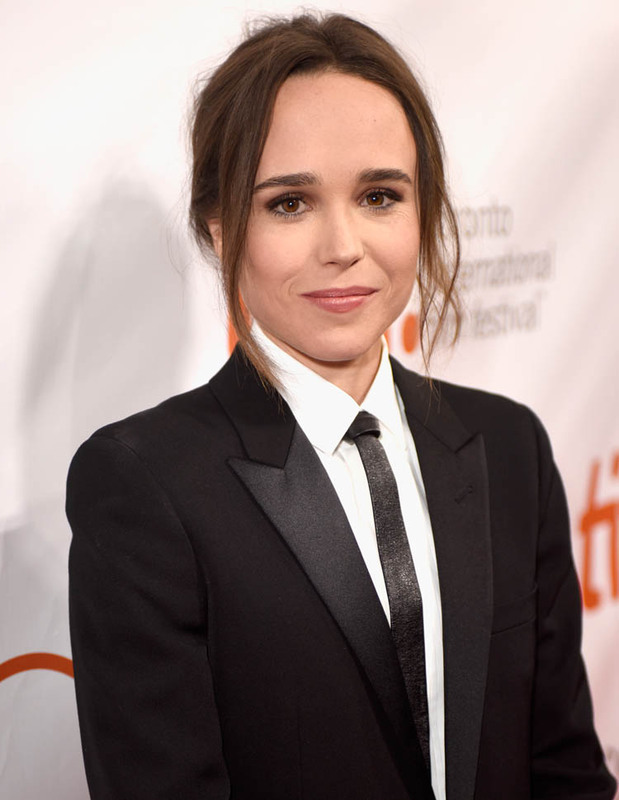 After all, she brought her girlfriend Samantha to the Freeheld premiere the next night.